How cloud services can transform SMEs – get the eBooks. There was a time when it was accepted that smaller businesses – even those with fantastic products and a clever business plan – had a slim chance of competing with any business boasting more cash, employees and sales. In recent years however, large corporations have frequently been given bloody noses by progressively stronger, leaner and more agile SMEs. The answer lies with the permeation of cloud computing throughout the business landscape. According to a recent Global Intuit study, which focused on small businesses in the U.S., Canada, the U.K., and Australia, 64 percent of small businesses run in the cloud, 68 percent use apps, and 66 percent use a smartphone. Combined with this, SMEs are beginning to see the long-term effects of adopting cloud technology on their bottom line – allowing them to focus on growing their operation. Increased agility. Reduced costs. The playing field has been levelled, making it far easier for SMEs to compete with larger organisations – and cloud services have been instrumental in facilitating that agility boost. What’s more, research has found that SMEs adopting new technology consistently out-perform those that don’t. In a recent study conducted by The Boston Consulting Group and commissioned by Microsoft, more than 4,000 SMEs were surveyed in five of the world’s largest and most diverse economies: the United States, Germany, China, India and Brazil. The study found that tech-savvy SMEs outperformed their less tech-savvy counterparts in innovation, job growth and increased revenues over the last three years. Leading SMEs that have embraced new technology have seen their businesses grow and costs reduce – with one of the key factors being increased worker productivity. For cloud service providers looking to offer solutions that both meet SME needs and help them succeed, this is encouraging news. 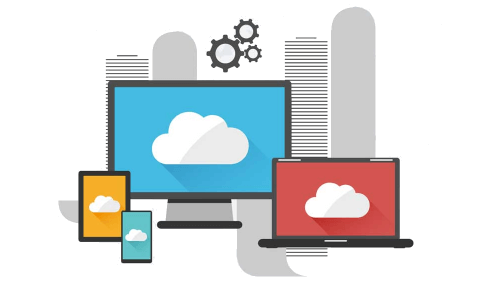 Among those SMEs that use cloud based applications, a total of 82 percent report using between one and six apps to run their business. However forty-one percent say they are unsure of which apps are best suited for their needs. It’s clear then that while many SMEs have bought into the idea of cloud services, there’s still some work to be done by the cloud service provider to educate and guide them on which services can best benefit their business. We’ve conducted research to analyse the key challenges facing four major industry verticals, and assessed the best cloud applications currently on the market that meet these challenges. The results provide valuable insight into how cloud service providers can better serve their SME customers, with both practical examples and real-life case-studies.